Note: Click on “Read More” for important information about “Maximum Heating Temperatures” and “Maximum Fragrance Levels". COMMENTS: I decided not to sell lotion any more but I will still purchase this lotion for family an friends they love it its light weight scentless so you can basically make it into any thing you want I will for ever be buying this product thank you!! "Good for the skin "
COMMENTS: Customers love how this product is good for their skin. Can be used with or without fragrance. Definitely recommend purchasing this product. COMMENTS: When I ordered this, I wasn't sure what to think. After making quite a few lotions with it, I am super impressed. My customers love it and it is so easy to mix! Great job with this one! COMMENTS: This lotion soaks right in to my skin and leaves my skin feeling moist but not tacky or greasy. "Head to Toe Loveliness "
COMMENTS: I luv that this is kinda thick, such that it’s more of a cream than a lotion. Just as the title says, it’s appropriate from Head to Toe! It also works as a super remedy for dry cracked heels!!! For packaging, I suggest using a wide mouth jar and just dip it out with ur fingers. Simplicity is Best! I SO LUUUUV this body lotion (cream)!!! "Soft & not greasy "
COMMENTS: Got this in a the sample set and it s so light & makes you feel moisturerizied. My boyfriend is very picky and onky one type of lotion makes his skin not dry. COMMENTS: I got this in the sample set and was very happy with the quality. It's great alone, and holds essential oils very well.
"" Love it from head to toe""
COMMENTS: I use this product as well as my customers and I love it from head to toe! Lovely feel and with my kashmir fragrance oil added to it...It's a winner! COMMENTS: I love this because it is a very versatile lotion base. works great in my pump jars and doesn't clog up. feels great on the skin and not greasy at all, can even work on the face. COMMENTS: This is the first time I have used a ready made base and I love it. It was easy to prepare, heat add fragrance and color. My only problem was that I was using 4 ounce bottles. Due to the thickness of the lotion, the bottles were very difficult to fill and I wasted quite a lot of product. I was only able to get 3 4 oz bottles out of 16 ounces of base. Next time I will use 4 oz jars instead. COMMENTS: Smooth, hydrating, comforting. It's not a deep moisturizer, but sometimes you just want something on the light side. COMMENTS: The creamy feel of this lotion base is remarkable! By adding a few ingredients changes this nice lotion into a fabulous lotion! I'll be buying MORE in the future! COMMENTS: I use this as a daily body lotion. Just heat, add fragrance & pour into pump bottles. Feels wonderful!! COMMENTS: This was a nice summer body lotion. Not too thick and not too greasy. Absorbs well and mixes well with scents. COMMENTS: This was and ok lotion a bit thin nothing to exciting, it could be a reasonable cost affective addition to your line. I prefer a bit more oil to my lotion as I live in the desert and need it. Good product for the price. COMMENTS: This is a fine lotion base, great for adding simply an essential oil or two. Feels nice and clean without leaving a residue after use. COMMENTS: I love,love,love this lotion! It is a real hit with my customers & myself. It is light, penetrates quickly & leaves your skin incredibly smooth! All I need to do is add Aloe Vera liquid, color, scent & Bam! I have a whole line of beautiful lotions to sell that I can be very proud of. Also the bucket is handy & reusable. I will continue to order this product! COMMENTS: Love this. I melted slightly just until the coconut oil I added melted and then added my favorite essential oils for skin, I did not add anything else to this base. Love it!!! I did not notice a scent to it or a film it went on like butter and felt divine. I have a rough time with products that do not absorb in reasonable time. This was delightful went on and in the time I took it absorbed well leaving no greasy feel. I would recommend this product and will order it again. I will likely order the gallon bucket next time. "Head to Toe Lotion Base"
COMMENTS: A good base. Easy to use and takes colors and essential oils well. COMMENTS: You don't need to add much of anything to this base. It's extra thick, creamy and extremely hydrating on its own. Not to mention, it's easy to work with, even for beginners. COMMENTS: I bought this lotion to give to family members as gifts. I also kept a bottle for my own use and I am so glad that I did. It provides good moisturizing qualities for my very dry skin and does not cause breakouts, which has always been a problem with many lotions over the years. The fragrance oil and color blended very easily into the mixture and the scent has stayed well after several months. I will definitely buy this lotion again when I run out. Please keep this product in stock for those of us that have extremely dry skin. Thanks! COMMENTS: This is a great product at a great price. It holds scent well, absorbs well and does not have a greasy feeling like a lot of those others do. A little goes a long way. COMMENTS: The lotion is easy to use and fill the bottles. It is creamy and light. It is not greasy. COMMENTS: I was already a fan of the Goat Milk and Honey Lotion, but gave this one a try as a potential alternative. Instead of choosing one or the other, I've decided to carry both. It's a great lotion - not too heavy, not sticky, quickly absorbed and very easy to work with. Great price for a great lotion! COMMENTS: This is a great product. I was looking for something that was affordable and allowed me to make enough product without breaking my bank. Its soft and silky consistency is great for an everyday body lotion. Also holds scents well. Will be a regular item in my cart! COMMENTS: I'll start off by saying I'm very picky when it comes to lotions. Ive tried numerous lotions from brand name stores and I always end up with a greasy, waxy , sticky feeling. I decided to go on my own, and ordered this lotion base through WSP. It comes ready made, so you can use it right out of the jar, or add a fragrance oil & a little bit of coloring like I did. As soon as I put the lotion on my skin it was like butter. It was smooth, and had a cooling effect, which being in the humid south, was just an extra bonus. My Mom, who is even picker than me, fell in love and is using it daily. I decided to incorporate these lotions into my shop and they are a hit! You will not be disappointed. COMMENTS: This lotion is very smooth and soaks in quickly. I wanted something that was all purpose to scent and sell! This fits the bill perfectly. COMMENTS: This lotion is very nice, smells great!! I purchased a gallon! "Just takes away my dry skin from my Head to my Toe"
COMMENTS: You can't buy a better lotion base anywhere! It is super easy to work with, takes and holds fragrances wonderfully, nice and thick without being sticky, dries and leaves skin feeling refreshed. COMMENTS: Works well looks great, customers love it. used it for a wedding favor order and everyone loved them. "Best ever, just add the essential oils, excellent"
COMMENTS: This is a great product for the money spent. No complaints. Holds fragrance oils well and micas dissolves perfectly after a few swirls of an immersion blender. Im already on my second container. Next order will have to be larger so that I dont run out so quickly. COMMENTS: Just had to say this stuff is wonderful - actually you don't even need to scent it if you don't want to - but it is excellent stuff. COMMENTS: I LIKE this product. I can put it on and TWO days later after getting out of the shower I can STILL feel it on my skin! COMMENTS: I've gotten great reviews on this lotion! Everyone says how it's not greasy and leaves their skin feeling soft! I can't wait to order again! "Not Enough Stars-10 Would Be Better!" COMMENTS: Absolutely love this lotion base..scented or unscented it's great! My husband loves it and he's so anti-lotion. He doesn't like a sticky or tacky feel on his hands. Holds fragrance perfectly and does not thin the base out at all. I leave all my lotions dye-free so I can't comment on that. This is a perfect all around basic lotion. You will not be disappointed ordering it! COMMENTS: This lotion is SUPERB! I get rave reviews for it and I even converted the biggest NON-LOTION USER on the planet (MY Stubborn FATHER) to use it several times a day. His biggest problem with lotions is greasy oily residue for two reasons... He hates the feel of slippery lotions on his hands and he is a professional Guitarist and lotion "Gunks" up strings and makes the neck of his guitar's sticky. I convinced (BADGERED AND CAJOLED) him to just "SHUT UP AND TRY THIS AND TRUST ME" and he did... No residue, no stickiness, no greasy or oily feelings and just sinks right into skin IMMEDIATELY where he is able to play moments after use. His alligator cracked and bleeding elbows are NO MORE! Everyone should use this base it is BEYOND FANTASTIC! WSP THIS IS A WINNER Please do not EVER discontinue this base! COMMENTS: I just started selling this product and I have had awesome feedback from everyone that has tried it. I add some Goat Milk Powder and Fragrance and its selling like hotcakes! Thanks WSP, don't ever discontinue this base!!! "The only base I use"
COMMENTS: If anything, this reformulated lotion is even smoother & fluffier! Moisturizes wonderfully and leaves a velvety feeling! Way to go WSP! "Works great in lotion parfaits!!!!" COMMENTS: This is a great lotion hands down!!! It works great in lotion parfaits as well...holds scent well & doesn't leave skin oily or greasy after using it. Please don't ever discontinue this lotion!!!! "Forgot to place in my last order What can I use in place of the head to toe lotion base. I'm making the warming muscle and joint lotion." Staff Answer You can probably substitute any of our lotion bases for the Head to Toe but the Basic and Evening Primrose lotions are closer to the Head to Toe in thickness. "I was wondering if the Head to Toe Lotion can be used for the hair? " Staff Answer You can probably use any lotion on the hair but we do not know what results you are looking for. "Do I need to be adding a preservative since this lotion is water based?" Staff Answer All our ready-made bases contain preservatives and it is not necessary to add an additional one. "Do I need any stabilizers for the color or fragrance when mixing them with the lotion base, or is it already in the lotion base ready to go?" Staff Answer If using a fragrance with any percentage of vanilla, you would need to use Vanilla Color Stabilizer for Lotions and Washes. This would help the color from darkening or changing over time. "Is there A Maximum Heating Temperature because I can't get it to turn to liquid the lotion base just get hot." Staff Answer The maximum heating temperature is 140°F. Heating to a liquid is helpful in pouring into bottles but not absolutely necessary. You can put this on a low heat in a double boiler and heat it that way instead of the microwave. 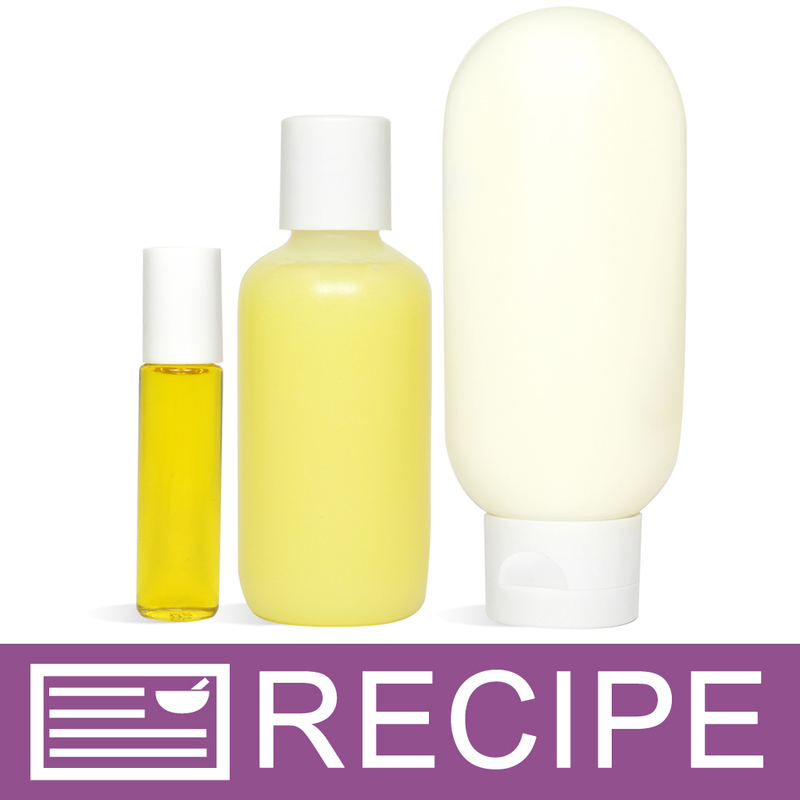 You can also add your color and fragrance, if desired, then use a pastry bag to pipe the lotion into your bottles. "Silly question :) How do you open it??" Staff Answer Not a silly question at all! 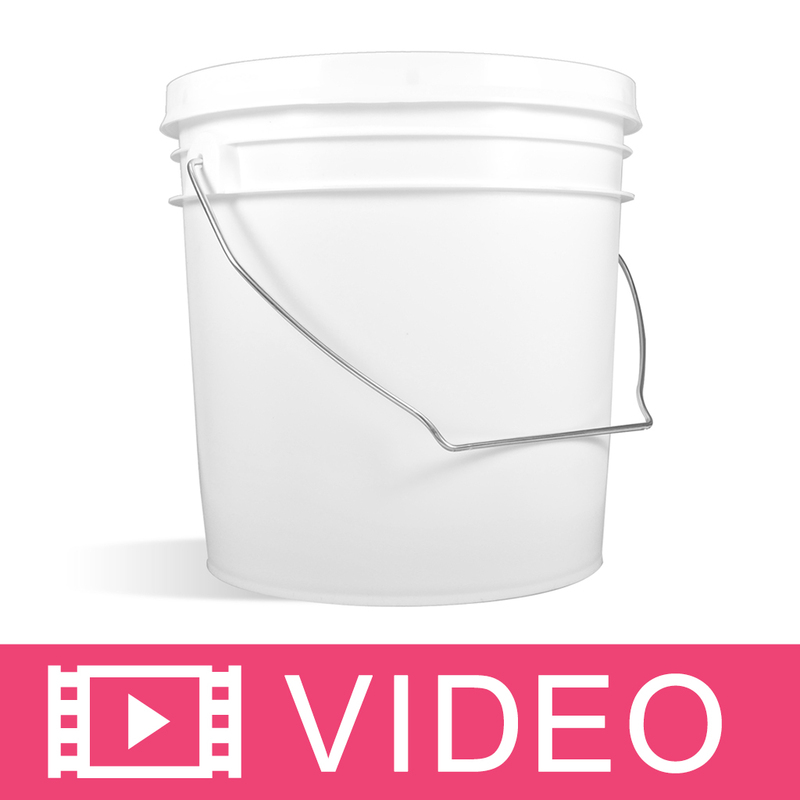 We actually have a video to show you how to do this: http://www.wholesalesuppliesplus.com/education/videos/Opening-One-Gallon-Buckets.aspx. "is this lotion recommended for the face?" Yes, this lotion can be used from head to toe. You could, but it might leave it a little greasy depending on your type skin. "I have always used the Head to Toe base however the price has gone up so much that I'm not sure I will continue its use. How does the Basic Lotion compare to the HTT? I see they are both made with sunflower oil. Is it worth the extra cost for the HTT? " Staff Answer The Basic Lotion base is a slightly thinner lotion than the Head to Toe. It comes in a gallon jug rather than a bucket. It is a very nice lotion base and one of our top sellers. "Can I add the Soy Body Butter to achieve more of a Soy Product? If so, how much and what directions should be followed?" Staff Answer We do not recommend adding a butter to this premade base. Because this product contains water and oils that are already emulsified, the addition of a butter could break the emulsion and cause separation.